President Donna shared with us part of the inspirational speech delivered by Harry Rassin, 2018-2019 Rotary International President. In it, he explained the reason behind the theme he had chosen for his year - Be the Inspiration'. 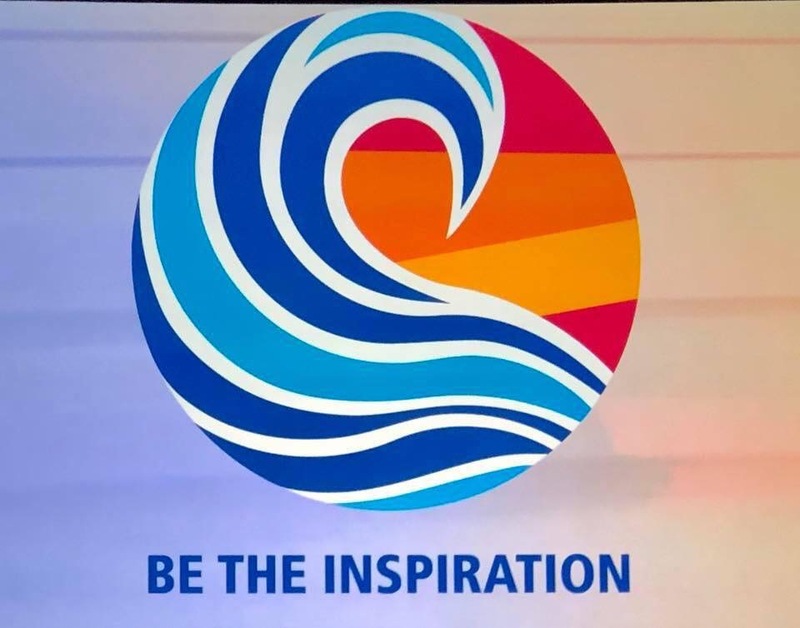 'In the forefront of this year’s logo is the crest of a breaking wave, representing RI President Barry Rassin’s island home of the Bahamas, and the sea that surrounds it. The sea represents inspiration, and the waves are that inspiration striking land. Waves are a primal force of nature: constant, dependable, and unstoppable. They change the world, not only through their strength but also through their constancy. Consider Rotary to be another force of nature: an unstoppable force that brings positive change throughout the world. 'The sea derives its size and strength, not from one source but from the combination of many sources. Rivulets that ran down mountains, streams that snaked through valleys, and rivers that coursed through megacities, all come together as one united whole. As a sea, they are an inspiration; as a wave, they are impacting. When we see this wave we see the strength of our combined efforts, and the untold reach we have as global citizens, people of action, and Rotarians. 'The multi-coloured sunbeams behind our wave symbolize the diversity found in Rotary and the energy this dynamic, living background brings to every initiative in which we take part. We have different backgrounds, different cultures, and different abilities. And yet these differences do not separate us; rather they unite us because our vision is one. 'Underneath the tip of the wave, we see a heart. Rotary has heart; we stand in empathy with those who are suffering, and we make it our mission to take action for those who cannot take action for themselves. On the right side, the wave carves the bright sunlight into the silhouette of a sail. This sail symbolizes the direction intrinsic within Rotary: we know where we are going and we are focused on our goals. There’s nothing that can hold us back. Our connection, constancy, commitment, and heart give us an impact as strong as that of a wave breaking a channel through the hardest rock. 'Today, nothing remains but for each of us to step forward in our own clubs, neighbourhoods, and communities and Be the Inspiration'. Original generation time 1.3816 seconds.